National installer sees storage as key to increasing customer value and to American energy independence. SAN FRANCISCO (May 4, 2017) – Leading energy storage developer Sunverge Energy and national solar installer PetersenDean Roofing & Solar today announced a partnership to provide energy storage systems to homeowners in California. The partnership helps meet two important goals for PetersenDean, which installs about 2,000 rooftop solar systems each month nationally: Providing PetersenDean customers with intelligently managed energy storage, and using products manufactured in the U.S.
Sunverge systems allow customers to capture the power they generate from their rooftop solar and, thanks to built-in intelligence, automatically use it when demand and energy prices are highest. 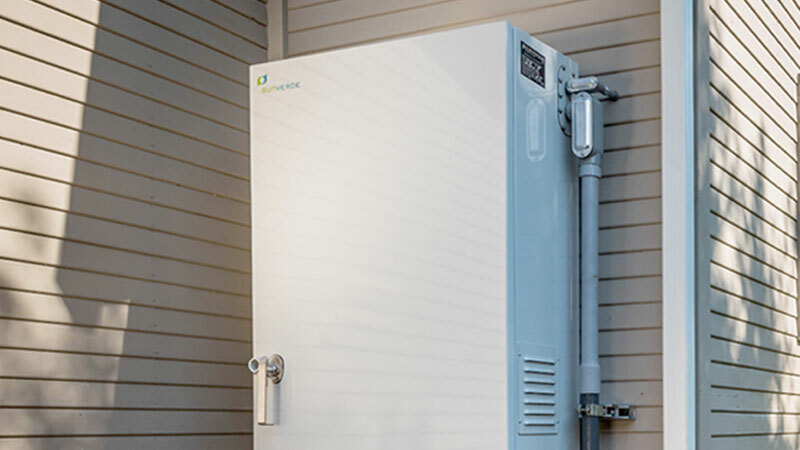 With Sunverge energy storage systems, homeowners create their own power using environmentally friendly renewable energy, allowing PetersenDean solar and storage owners to be more energy independent and help reduce the need to use electricity from central, fossil-fuel fired plants. 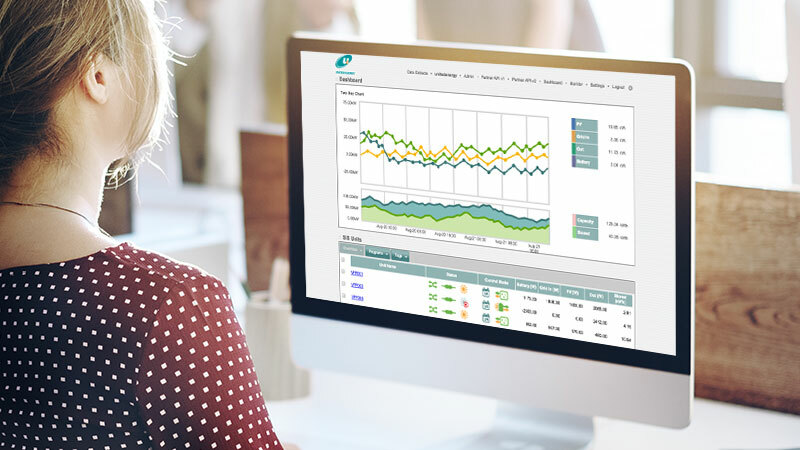 By using the Sunverge energy management platform that integrates with each storage system, PetersenDean can offer backup power during electric outages, bill savings and additional value-added services to its thousands of solar customers. PetersenDean is the nation’s largest privately held solar and roofing company and known for its advanced solar system technology and its American-made solar and roofing products. 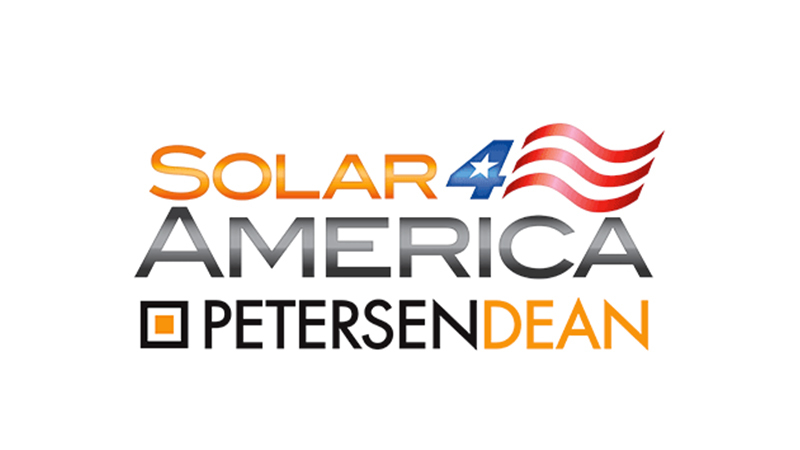 The partnership is a key element of Solar4America, PetersenDean’s initiative to support American jobs, manufacturing and energy independence by sourcing solar panels and all system components from domestic producers. Along with Sunverge Energy batteries, PetersenDean solar system includes Buy-American-Act-compliant panels, inverters and racking installed by the construction company’s U.S. workforce. About PetersenDean Roofing & Solar Founded in 1984 by Jim Petersen, PetersenDean is the largest, full-service, privately-held roofing and solar company in the United States. Specializing in new residential and commercial construction, PetersenDean works with some of the nation’s largest builders and developers. With more than a million roofs under its belt, the Fremont, Calif.-based company employs 3,000 workers and operates in seven states: Arizona, California, Colorado, Florida, Nevada, Oklahoma and Texas. Please visit http://www.petersendean.com/ for more details. About Sunverge Energy San Francisco and Brisbane, Australia-based Sunverge Energy allows homeowners efficient management of their own renewable energy generation and helps utilities, retailers and solar power providers manage those renewable power sources and aggregate them into Virtual Power Plants across neighborhoods, communities and entire service areas — reliably, effectively and intelligently. 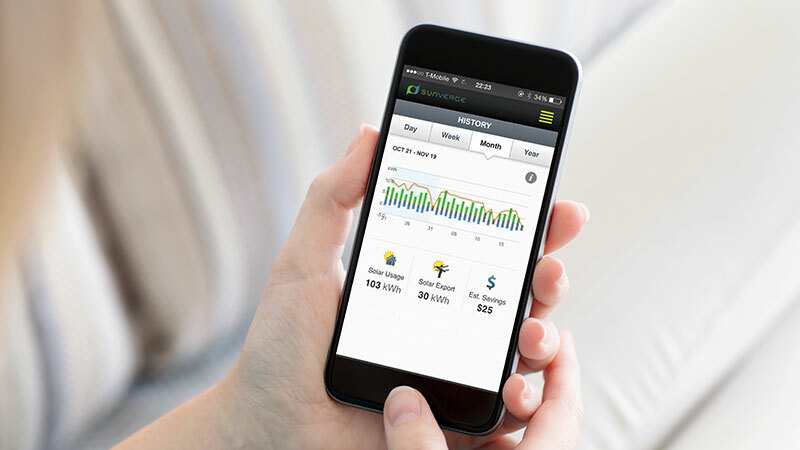 Founded in 2009, the company makes the Sunverge Solar Integration System (SIS), a distributed energy storage and management appliance comprised of powerful storage batteries, power electronics, and system-management software running in the cloud. The Sunverge SIS lowers costs, increases energy reliability, strengthens the grid, and accelerates the adoption and integration of distributed renewable energy. Investors include AGL, the Australian Renewable Energy Agency (ARENA), Kokam, MITSUI & Co., Siemens Venture Capital, Softbank China Venture Capital (SBCVC), Total Energy Ventures International and VisIR. For more information, please visit www.sunverge.com.